Having pets, especially dogs, can be quite time consuming, and they do need to be walked regularly. Sometimes it can be tricky to figure out where to go without it being the same every time, because you want it to be interesting for you and your dog. For those days when Your Hound Pet services aren’t walking your dogs, here are a few dog-friendly parks in Joburg, that your dog is guaranteed to love! (and you probably will too). Echo Dog Park is located in the hub of the busy Fourways locale, and provides a space where dogs can run off-leash and socialise with some other four-legged creatures. The park offers dog training on the weekend and dogs are welcome to take part with their humans in the early morning Sunday hike every week. Jackson Dam is a lovely spot for the Southeners to get out into the outdoors and take the pups with. In addition to ample space for the dogs to run around, it is an ideal spot for get togethers, picnics,and sports. There is also a kids playground to keep the little human ones amused. Emmarentia Dam, just 6km from the city centre, is a firm favourite with dogs and dog lovers as it is in essence just a massive dog park! 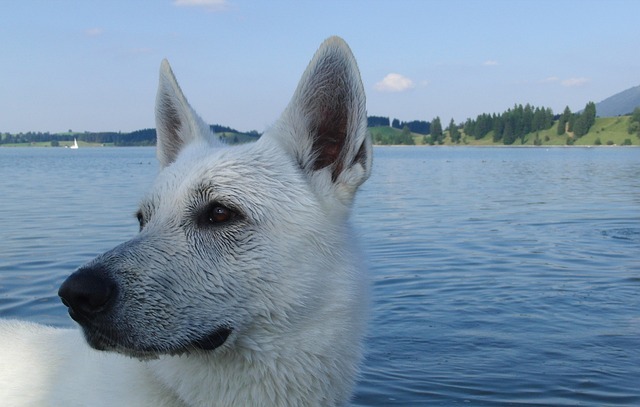 Dogs run freely, chasing tennis balls, playing and swimming in the dam. Both owners and dogs will come home tired and happy from a trip to Emmrentia. It is a fantastic place for a day out with the whole family! The Wilds has been declared a National Monument and is touted by many to be Joburg’s most beautiful park. With it’s urban location, right between Melville and Orange Grove lovely city oasis. The walking tours are magnificent and dog friendly – though the pooches are expected to be kept on leash. Walkhaven is equivalent to Disneyland for dogs and dog-lovers alike. With 22 hectares of open grasslands, a dam for the pups to swim in and a vibrant restaurant and bar (as well as designated braai areas) for owners to have their own fun in, it has appeal on various levels. Dogs are encouraged to run free, off-lead to their hearts content. This public golf course in the Eastern suburbs of Joburg welcomes dogs and their owners into its pet friendly areas. Dogs on a leash are welcome and can enjoy a drink of water at their Club House Restaurant after a walk. Take advantage of the walking trails or just mosey along in the open park. Visit Huddle Park for more info on rules and events. This entry was posted in Information and tagged #YourHound_SA, animals, Dog walking, exercise, fit, fun, Happy Dogs, healthy, Johannesburg, Pets, Socializing. Bookmark the permalink.